“Organic dips. Check. Seed packs. Check. Potted floral arrangements. Check. hemp table cloths. Check.” This is what you might hear during set up for a Green With Envy (GWE) crafted event. GWE is a fresh and innovative event design and production company with an organic twist whose mission is to leave a lasting impression on the guests and not the planet. The results so far have been nothing but bright green. To understand why GWE is well on its way to great success you may want to meet one of the wonderful spirits behind all this greenness – Carlee Gerardi. 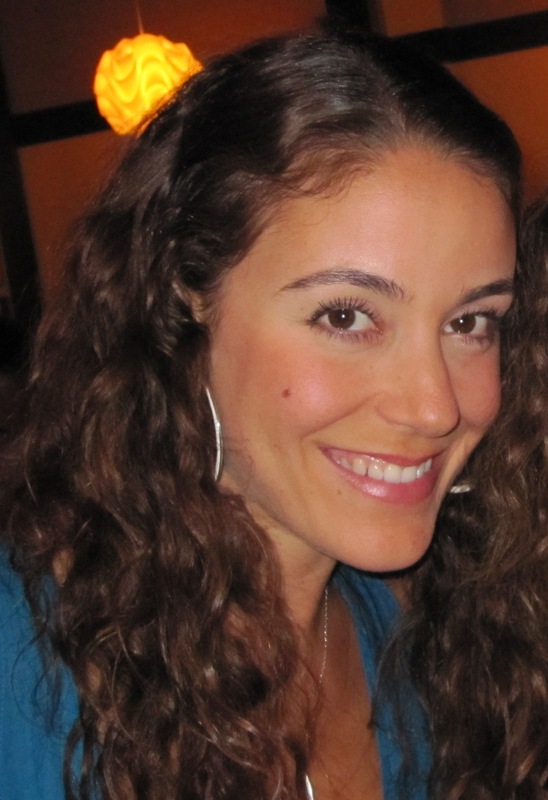 Gerardi, a native San Diegan and genuinely happy entrepreneur, co-founded GWE with business partner Laura Rankin in early 2009. They both had backgrounds planning events for family, friends and the companies they worked for. When they decided to branch out on their own they knew that entering into the event business as another creative company wasn’t enough. They wanted to do something that had lasting value. While hiking Cowles Mountain in San Diego the spark hit them: “Let’s do it GREEN,” Carlee recalls. The two were both concerned about the environment and wanted to do their part while helping others understand that their choices have an environmental impact. I chatted with Carlee a bit to find out more about her passion for life, work and all things green. What inspires you to be in this business? I am inspired by the opportunity to be creative and express myself. This industry is all about the details. 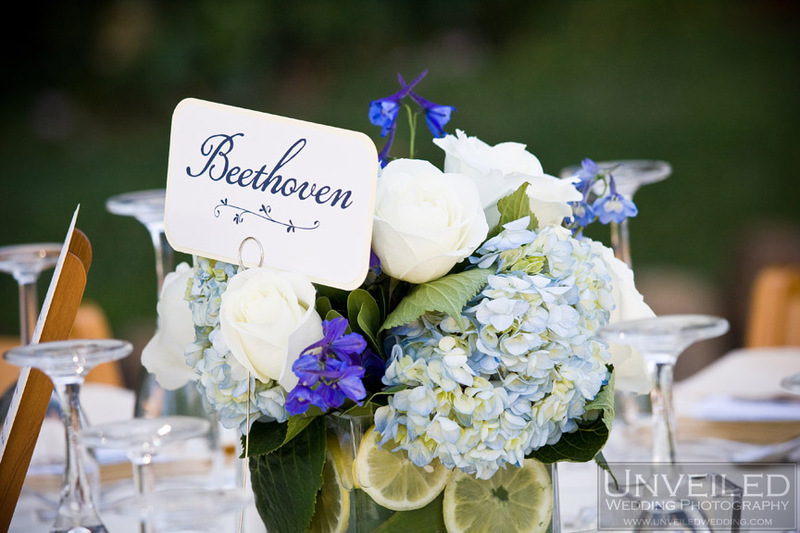 I love putting together interesting, surprising details to engage and delight the guests. I am also inspired by how new “green” is in the event planning business. This gives me the opportunity to start trends and make people think about ideas they’ve never considered when planning an event. In addition to GWE, what is your vision for a greener, cleaner world? My vision for a cleaner world starts with changing the mindset of its citizens. I believe that society has created this false idea of what people need to live and it has made people wasteful, lazy, excessive, and ignorant. I imagine a day where public figures set the example of eliminating waste, only buying and using what they need and living sustainably which will in turn leads the general public down the same path. What are you personally doing to make a difference? At home and at work, I am taking all the precautions to live as sustainable as possible. I drive a Prius, carpool whenever possible, work from home, recycle, and I try to encourage and educate everyone I know to do the same. It’s my personal belief that you can’t take on every issue, so you have to choose which battles to fight. I am not hard on myself if every aspect of my life isn’t “green,” My philosophy is to celebrate the positive things I’m doing for the environment. How have your clients inspired you? What inspires me most is their eagerness and desire to learn about throwing a green event. People are opening up to green in a way I’ve never seen before. We approach our clients in a consultative way, not forcing anything on them, but simply counseling them on ways they can save money, eliminate waste and promote sustainable practices. Can you share with us some specific project details and how you make it work to achieve the final result? When planning any event, there are hundred of different elements that can be made more sustainable. We’ve created a checklist of simple and affordable Eco-solutions that will lower the impact of any event. We always try and align ourselves with Eco-minded vendors, recycle and strive to eliminate waste when ever possible. We encourage our clients to: use less paper and/or recycled paper for all their invite/paper needs; consider organic and locally produced foods, beverages, flowers, etc; choose a venue that is outdoors, LEED Certified, or supports sustainable practices; encourage guests to carpool or take public transportation; purchase carbon offsets; choose décor elements that are minimal and/or Eco-friendly; give Eco-friendly favors, like seed packets; educate guest on simple steps they can take in their lives to be more green; and so many more. How does this approach make you and your guests feel? It feels amazing to be responsible for putting together an event like this. Guests are so impressed, and our clients feel really good about the decisions they make to lower the impact of their event. It’s also really exciting to work with other vendors who share this same enthusiasm. What does the future hold for GWE? 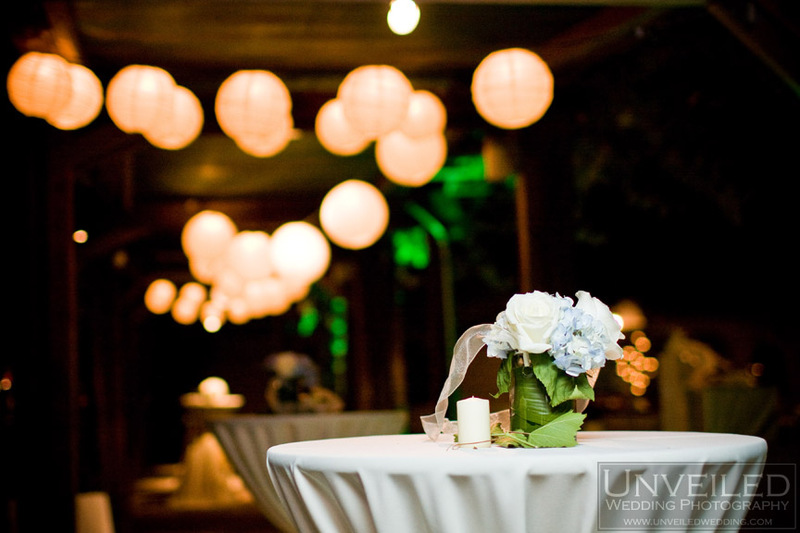 Our mission at Green with Envy Events is to become the premier green event planning company. We would eventually like to have offices in major cities around the United States. But more short term, we want to make an impact in our communities. We want to educate people about the impact their event has on the environment, and show them ways they can help reverse the wasteful trend in the event industry. Whether they hire us or not, we want to set the example so that people everywhere, when planning any event in their lives, will consider the environment first. What are some things that allow you to be you? My absolute favorite hobby is sailing. I feel so free when I’m out on the water. It’s one of the oldest sports, and the best thing about it is you use nature and wind to power the boat. I also love hiking, and try to do it two to three times a week. It gives me a chance to reconnect with nature and clear my head. I also love photography, snowboarding, traveling and music.